Ed and Lin Copelin opened Copelin's Office Center (the original downtown Desk Set) on Gray Street in Norman in 1983 and specialized in commercial and retail office supplies and office furniture. In 1984 we moved to our current location at 425 West Main and very shortly after added teacher and educational supplies. As the teacher area continued to grow, we added many more toys, games and puzzles. 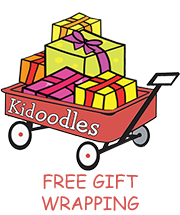 In the fall of 2009, we purchased Kidoodles which had also been a long time specialty toy store for over 25 years. 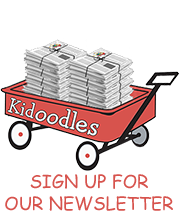 When we had the opportunity to add Kidoodles to our store, we couldn't pass it up. 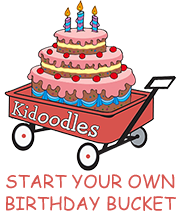 Kidoodles had had the reputation as a long time quality toy store with their unique toys, special customer service and of course the birthday wagons. 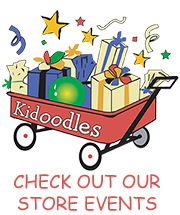 We continue to carry quality toys, games, puzzles, dolls, books and more. We strive to continue the special relationship we have with our customers in finding the "perfect" toy or game for the child in all of us.